Indian cuisine is as diverse as India itself. The India Real Food Tour is designed with aim to lead you through culinary experiences then to teach, to tantalize and to inspire. Discovering the cuisine of India, which present a range of flavors, intense and subtle, as vast as the country itself. Along the way, you also visit local bazaars, markets as well as experience the cultural highlights. This will be an incredible tour for the foodie looking to nourish the body and soul. Namaste! Welcome to DELHI, the capital of India here your India real food journey begins. On arrival, our Asia Senses Travel tour guide will meet you at the airport and assist with a transfer to the hotel for check in. Enjoy a complimentary dinner with a first taste of North Indian flavours over a delicious meal, consisting of butter chicken, chicken tikka, mutton curry, pulao, daaal (lentils), eggplant, raita, rotis (flat Indian breads), stuffed paranthas (stuffed and fried rotis), vegtables and more. Vegetarian food can also be prepared. After that, free at leisure at your hotel. This day in Delhi will be dedicated to exploring its famous and not so famous corners. Wander through narrow alleyways of Old Delhi and enjoy an authentic Delhi street food-styled breakfast. Please do not forget to taste the delicious masala chai (Indian tea) along with some fried Indian snacks. 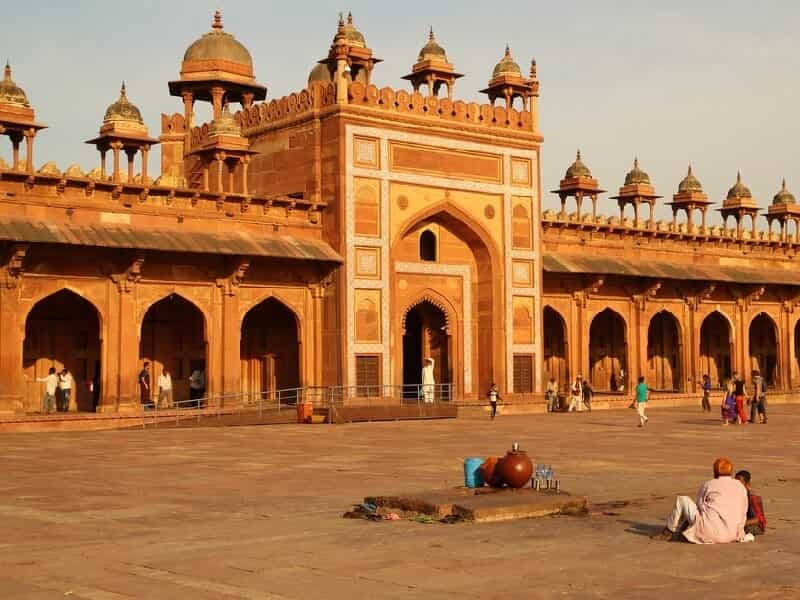 Following the breakfast, jump on the city's modern metro system and head to Jama Masjid, Delhi's oldest mosque and one of its most impressive buildings. While Hinduism is the dominant religion in Delhi, there is also a significant Sikh population - so proceed to the next destination to visit a local Sikh temple then learn about the food traditions of Delhi’s Sikh residents over a vegetarian lunch. After lunch, head to Chandni Chowk, one of the oldest and busiest markets in India. Its narrow winding lanes are full of inexpensive jewelry, fabrics, and electronics. Visit the spice warehouses in the back alleys of Khari Baoli, known for its wholesale grocery and Asia's largest wholesale spice market selling all kinds of spices, nuts, herbs and food. Meet a spice seller to hear him talk about how he mixes the spices for retailing. For food lovers, Chandni Chowk is an excellent place to sample some of Delhi's street food like parathas, one of the most popular unleavened flat breads in Punjabi North Indian cuisine. You can taste various parathas stuffed with fillings including potatoes, cauliflower, radish and cottage cheese. Then return to your hotel for relaxation. OPTIONAL: A home-cooked meal in a local family could be arranged. This visit provides you with an insight into the day-to-day life of normal people in Delhi. You can get involved in the preparations, or simply enjoy a chat in the living room with warm and welcoming hosts. This morning, get your first experience of Indian rail travel with an air-conditioned express 3-hour train to AGRA. 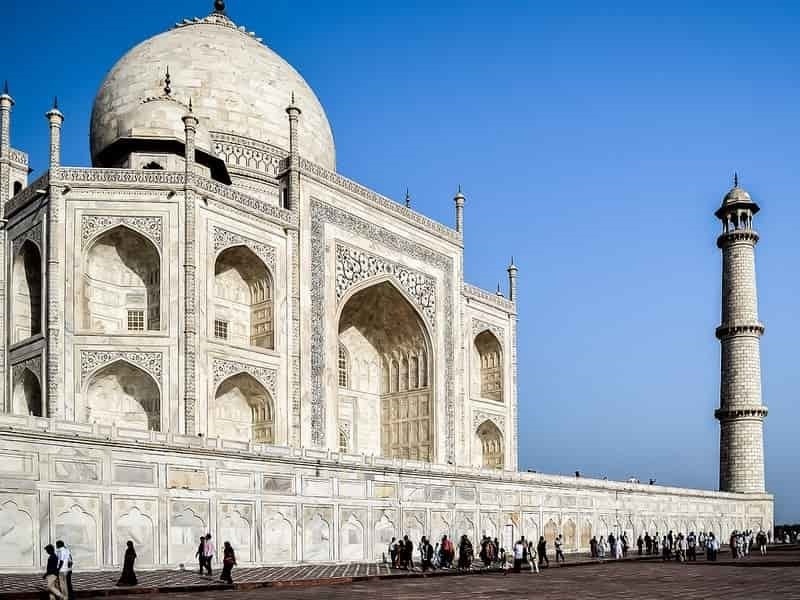 Famed for the awe-inspiring Taj Mahal, Agra holds an important place in history as it is home to many architectural wonders, lush gardens, exquisite buildings and temples from the Mughal era. Upon arrival, visit the spectacular and iconic Taj Mahal. Built by Emperor Shah Jahan as a memorial to his wife Mumtaz, it lives up to all expectations and is the perfect example of the intricacy and brilliance of Persian and Mughal architecture. Agra is also home to one of the finest looking forts in India, Agra Fort. Enter the dark red sandstone stronghold – part fortress, part palace and part prison – and search through throne rooms and tiny but incredibly decorated mosques. 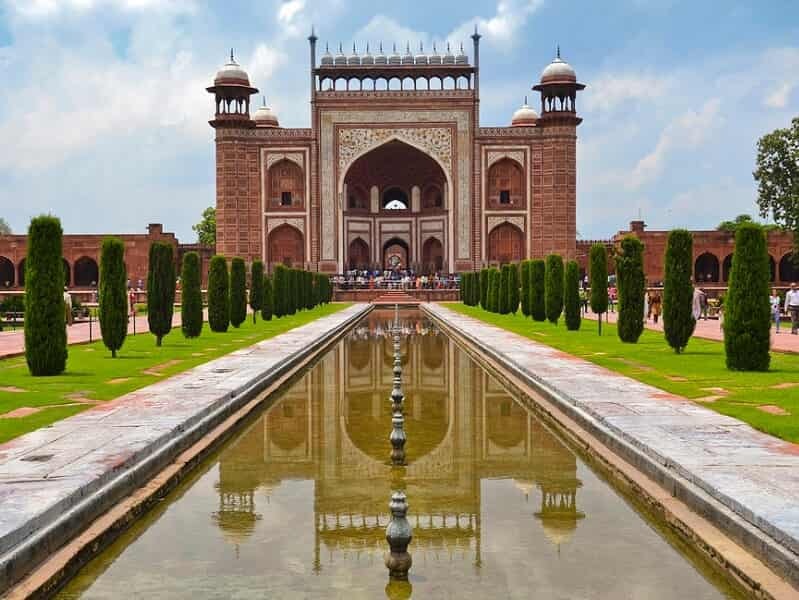 For lunch, visit a local home in Agra for a cooking demonstration of delicious Mughlai cuisine, with dishes tend to be rich and reflect a combination of cooking styles and recipes from Central Asia and North India. 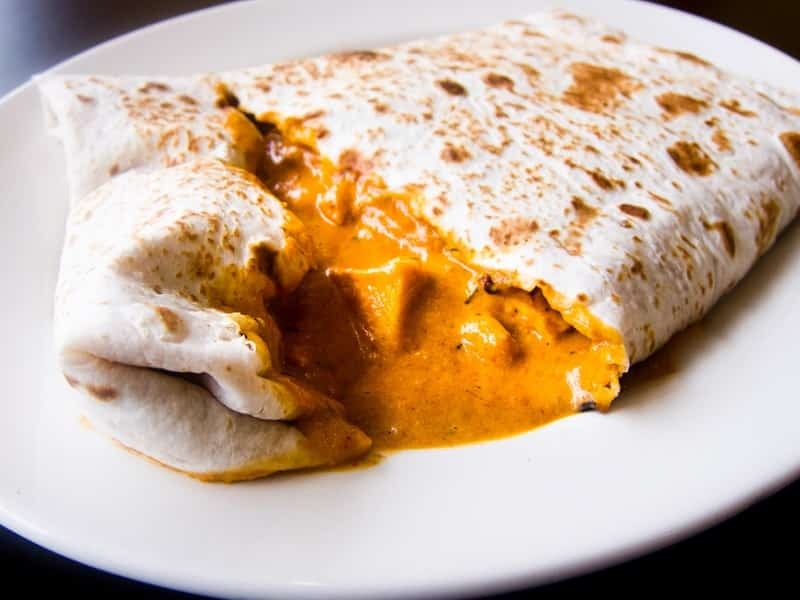 A friendly cook will teach you how to prepare classics such as malai ki sabzi (vegetables cooked with cream) and onion paratha (flatbread stuffed with onions and potato). Once the meal is ready, sit down to dine what you have made. Take a short rest before heading back the Taj Mahal. Wander the grounds and marvel at one of the world's most iconic buildings. Watching the light change over the marble structure as day turns to evening is a truly unforgettable experience. For dinner, stroll the streets to sample a chaat crawl in the city thought to serve up the country’s best. Chaat are savoury snacks (like fried potatoes or samosa broken into pieces with chutney) typically served from roadside stalls or carts in India and Bangladesh – the Indian equivalent to fast food. Following breakfast, embark on a scenic 5-hour drive to JAIPUR (The Pink City). Jaipur was designed by royalty and has delighted visitors for centuries with its pink-hued buildings, wonderful bazaars, and rainbow of bright colours dancing along hectic streets. Jaipur, like Delhi, has both old and new parts, although you’ll concentrate on the old. The streets are busy with camels and bullock-carts, monkeys climb overhead, and you’ll pass traditionally dressed Rajput men wearing colourful turbans and sporting magnificent moustaches. After the freshening up, it is time for a visit to the famous Hawa Mahal (Palace of Winds). 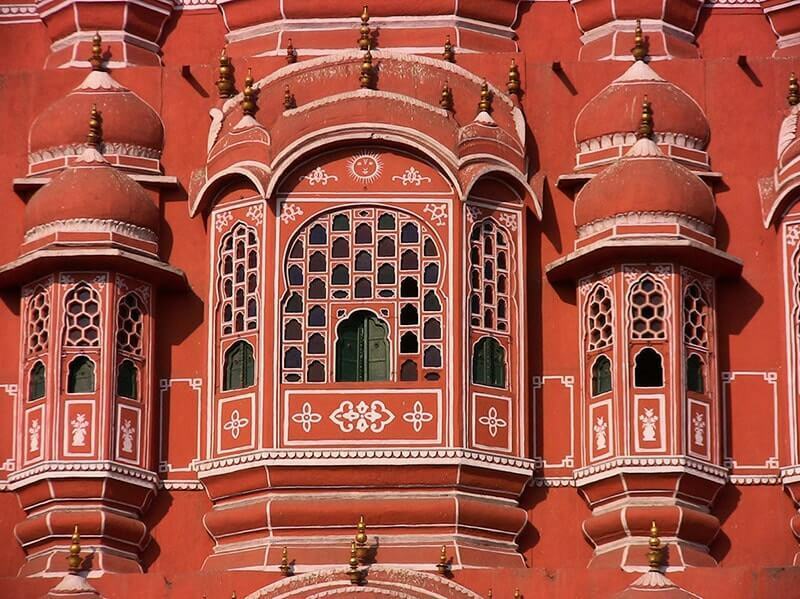 Front of Hawa Mahal consists of 953 small windows decorated with intricate lattice work. Here royal maidens once watched the streets below through the fabulous jali (lattice screens) which hid them from prying male eyes. 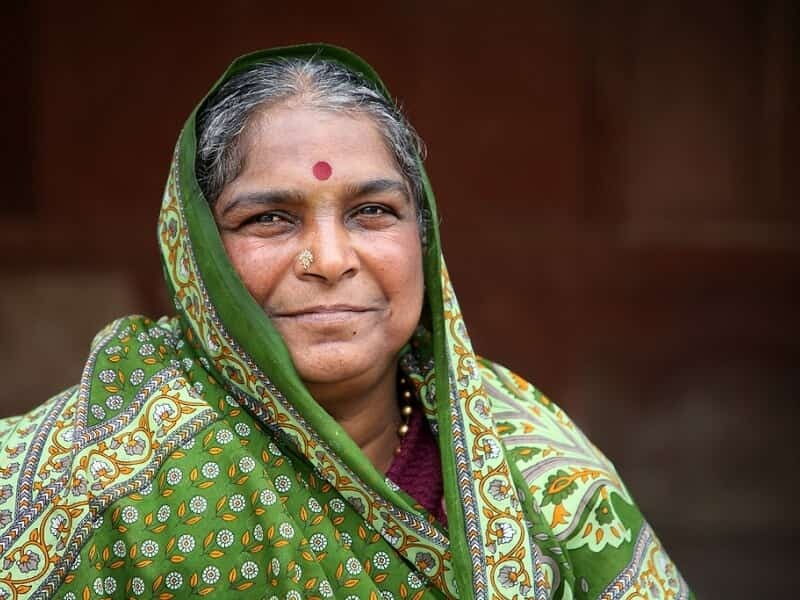 Today snake charmers and fortune-tellers ply their trade below the same hideaway. After that, stop at a local tea shop to enjoy masala chai, and cool down with a delicious kulfi (ice cream dessert). Visit the local markets with abundance of fruits, vegetables, grains, nuts, pickles, tea and spices on display. Check in the hotel then free at own leisure. OPTIONAL: In the evening, you may wish to check out a the extravagance of a Bollywood blockbuster, with all the Hollywood-style elements of action, romance, drama and music, at the spectacular Raj Mandir Cinema. After a healthy breakfast, it is time for Jaipur sightseeing today. Travel out to the old capital of Amber and explore the hilltop Amber Fort. Set in stunning surroundings on a hilltop overlooking Maota Lake, this opulent palace is now the legacy of a fallen empire and a superb example of Rajput architecture. One of its most spectacular buildings is the Sheesh Mahal (Hall of Mirrors), with its walls completely covered with tiny mirrors, the hall becomes a dazzling fantasy with the light of a single match. On the way back to the city, make a stop for photographic opportunity at the Jal Mahal Water Palace. The palace was constructed as a duck hunting lodge by the Maharaja in the 18th century and is located in the middle of the Man Sagar Lake. For lunch, try a local favourite, Kachori. Kachoris are deep fried bread stuffed with vegetables and lentils and are one of the most sought after snacks in north India. If sweets are your thing, try the Mawa Kachori, a dried fruit and mawa (milk solids) stuffed kachori, deep-fried and coated in sugar syrup. In the late afternoon, learn the secrets of Rajasthani cuisine in a hands-on cooking class. Sit down to a sumptuous dinner of all you have prepared. Towards the end of the day, spend time watching the sunset over Jaipur from the Sun Temple (Surya Mandir). From here, you can enjoy beautiful, panoramic views of Jaipur. On clear days, the city is bathed in golden by the setting sun. Today you’ll leave the city behind and drive approximately 6 hours to CHITTORGARH then stay at a lovely place located in the Vindhyanchal Hills in the Mewar region of south-central Rajhasthan. This is an opportunity to learn about rural life and culinary customs. Stop en route to enjoy lunch with a local family. Your accommodation for the next two nights will be at 16th-century Castle Bijaipur, now a heritage hotel with an attractive dome, arched windows and doorways, all within the original fortified walls. Enjoy the palace’s blend of colonial and Mughal architecture as you relax by the pool or in the gardens, pampered by the Mewar hospitality of the hotel’s owners. Spend the rest of the day relaxing in your magnificent surrounds. Perhaps take a dip in the pool or take a walk around the grounds. Today, you’ll jump in a jeep and explore the surrounding farming communities. This is a major agricultural area and, depending on the season, you will pass through fields growing wheat, corn, maize, a variety of lentils, aubergine, spinach, fenugreek, okra, green chilies, tomatoes, potatoes, bottle gourd, sponge gourd, onion and garlic. Some of the spices such as turmeric, cumin are also grown here. Have lunch then take a short rest at a local restaurant. In the late afternoon, return to your Castle Bijaipur and joining the estate's chef to discover how these ingredients are used in Rajhasthani desert cooking. Savour the results over a delicious dinner in the palace grounds. Travel to Udaipur (approximately 4 hour drive). En route, stop for a real treat as we have chance to see the original 'Best Exotic Marigold Hotel'. Located in a little town called KHEMPUR, the hotel is officially known as the Ravla Khempur and it was here that some of the film was shot. Enjoy a stroll with our guide through the village, with a chance to meet the friendly locals. Later, arrive in UDAIPUR. Although the city is known for its Hindu temples and Palaces, there are also some small yet renowned Jain temples in the city. Jainism is a minority religion in India and is considered among the most rigorous spiritually-motivated diets on the Indian subcontinent. Upon arrival enjoy a street food snack tasting and late lunch in the Old City. This early evening, drive half an hour out of the city to the Monsoon Palace to witness the sunset and experience a magical atmosphere at twilight. Later in the evening, free to stroll around then sample some local food at your own leisure. Udaipur has numerous rooftop restaurants so climb some stairs, choose a restaurant and settle in to watch the sun set over a shimmering lake. 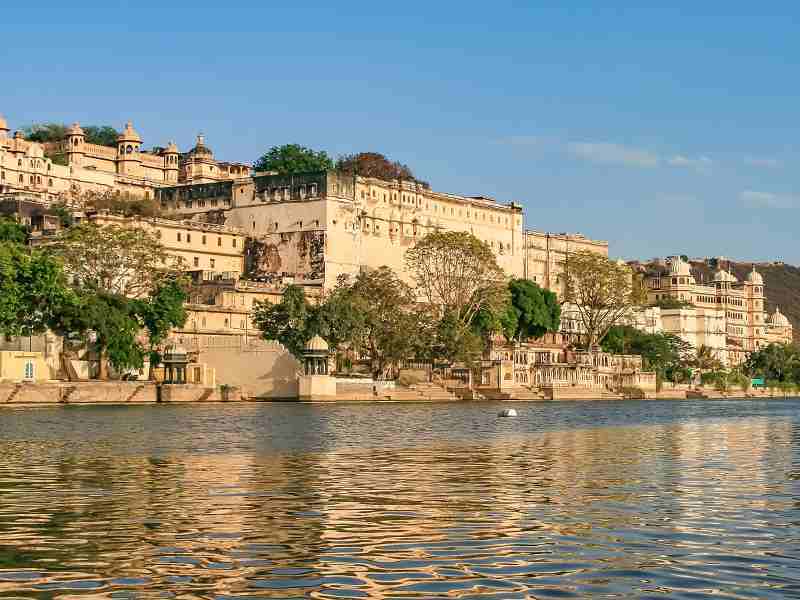 Udaipur is a beautiful town set on the shores of picturesque Lake Pichola and full of fascinating temples, ornate palaces and impressive 'havelis' (merchant homes). A favourite amongst traveller, Udaipur is viewed as one of Rajasthan’s most romantic cities and is brimming with palaces and temples. Today is spent to explore Udaipur and the majestic City Palace. Then head down to the lake and enjoy a splendid row-boat ride. Take in the spectacular scenery of the Aravalli Hills as they are revealed with the lifting cloak of early morning mist. Then there's time to discover its winding streets and shops full of traditional Rajasthani wares. The rest of the day is free for your own exploration. Begin today at the local market to collect ingredients for a cooking class, where you will learn how to prepare a traditional north Indian thali meal. A thali comprises of numerous dishes, which vary depending on which region the thali is prepared in. As you’re in Udaipur, you will make a vegetarian thali. Typical dishes include rice, dahl, vegetables, roti, papad (deep-fried flat bread), curd (yoghurt), small amounts of chutney or pickle, and a sweet dish to top it off. After all that cooking, enjoy your handmade thali for lunch. Tonight you’ll board an overnight train, bound for India's capital – captivating Mumbai (approximately 16 hours). The train will depart late evening and arrive after midday the following day. Arrive in MUMBAI after your overnight train. Once you arrive, you'll be met and transferred to your hotel for check in. Known as Bombay until its recent name change, Mumbai is India's commercial capital. Some would say that Mumbai is also the food capital of India. This is the heart of Marathi cuisine, however you will also find huge culinary diversity that celebrates regional cuisines from across the country. This afternoon city tour leads us to the Gateway of India – a former colonial monument and now a popular emblem of the city and a hubbub of life. The gate was built 1924-1927 to commemorate King George V’s visit in 1911. The biggest museum in India is next door - the Prince of Wales Museum. 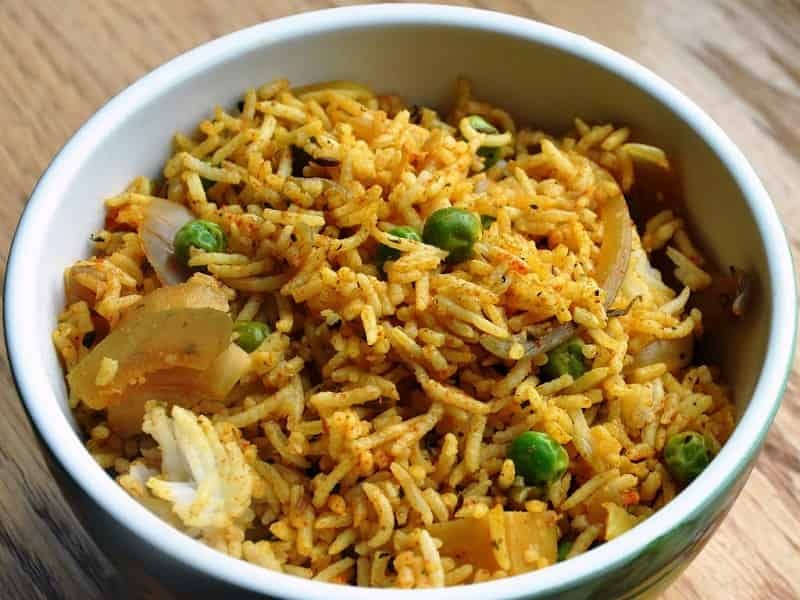 Wander down Marine Drive to Chowpatty Beach and sample bhelpuri (Mumbai’s favourite snack). It’s one of the city’s most popular promenades. Then return to the hotel where the rest of the day is free to explore Mumbai or relax at the hotel. Mumbai or Bombay, as it was formerly known - remains India’s city of dreams. This city of contrasts can be hard to get your head around – poverty standing side-by-side with prolific consumerism; a city of slums that’s also the financial capital of the sub-continent and has the shopping centres, bars and restaurants to match. Marvel at the remarkable Mahalaxmi Dhobi Ghat. At 140 years old it's Mumbai's oldest laundry and, with over a 1,000 troughs, it is also the world's largest open air, human-powered one. Next, take in some of the key landmarks including the impressive World Heritage Site and historic railway station, Chhatrapati Shivaji Terminus – a striking combination of gothic and traditional Mughal architecture. For lunch, seek out a restaurant known for serving Parsi cuisine, whose community is largely concentrated in Mumbai. 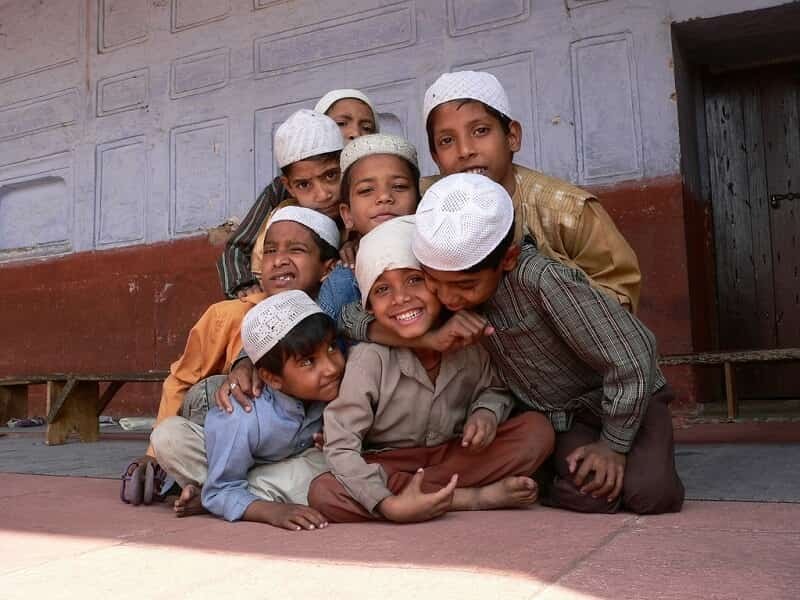 The Parsis are descendants of Zoroastrians who are believed to have immigrated to India from Persia in the 10th century. No visit to Mumbai is complete without a visit to the bazaars of Kalbadevi and Bluleshwar. Drop past Mumbai’s bustling Crawford Market for an insight into local commerce. OPTIONAL: Enjoy a cruise to the Elephanta caves in the morning. The island of Elephanta is about 10 kms from Mumbai. The 4 rock-cut temples are believed to have been cut between 450-750AD. After an hour’s boat trip to the island, walk the steps up the hillside to the caves. Shiva is the most depicted form. The rest of the day is free for your own food adventures. There are also some fabulous restaurants in this city for all budgets and your leader will have plenty of suggestions. After breakfast our our comes to an end. 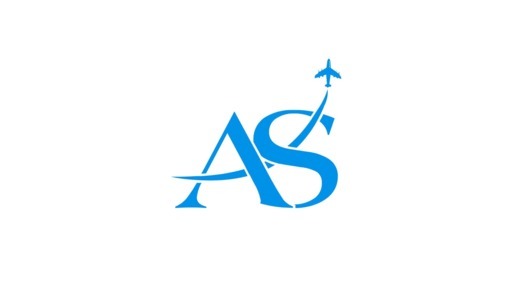 Following hotel check-out transfer to the airport for your onward travel. Mumbai is perfectly combined with the surrounding places such as Goa or Aurangabad.